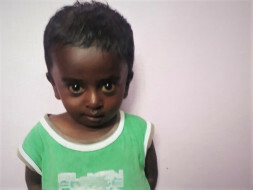 Baby Amarnath, cute little 2 year old child, hailing from a small village in Madurai district in Tamil Nadu in South India, was growing well till 6 months back, when his parents noticed his abdomen gradually getting bigger. They then noticed jaundice and discharge of pus from both his ears. They took him to multiple hospitals over the last 3 months where he was treated as suspected disseminated infection. 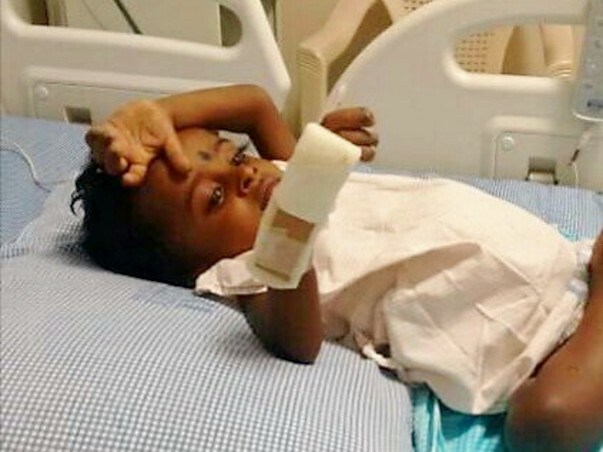 But the symptoms did not improve and the child was referred to Global hospital, Chennai. On further detailed evaluation, he was diagnosed as Langerhans cell histiocytosis, a rare disease of dysfunction of his immune system which had affected his vital organs like lungs, liver, spleen and had also started eroding his bones. Baby Amarnath had difficulty in breathing due to lungs being affected, and had severe jaundice with a huge distension of his abdomen because of his liver and spleen getting affected because of the disease. Langerhans cell histiocytosis, though an extremely rare disease which occurs in 1 in 200,000 children is highly curable, if treatment is started on time. The child has been started on chemotherapy, which he would need for a total duration of one year. 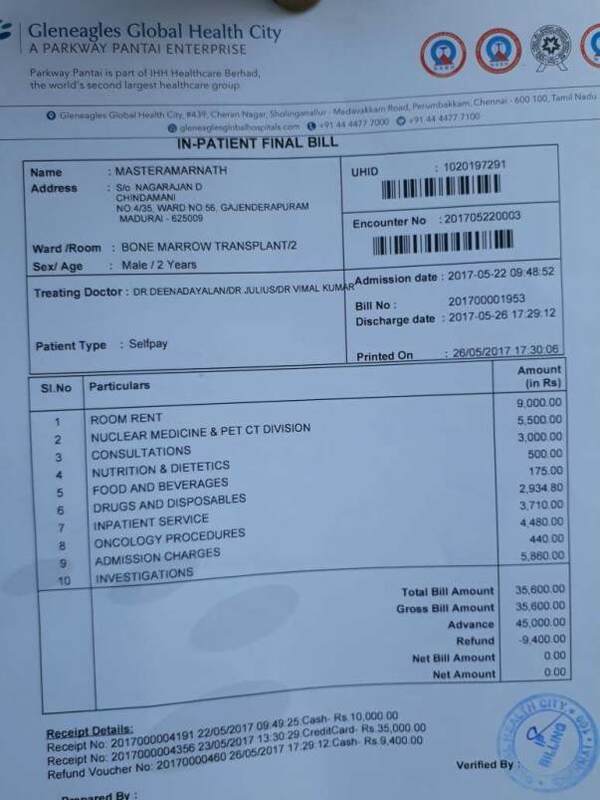 Parents, being Anganwadi workers in Madurai district, have already spent significant money towards his previous hospital admissions, are finding it extremely difficult to bear the expenditure to continue his treatment. 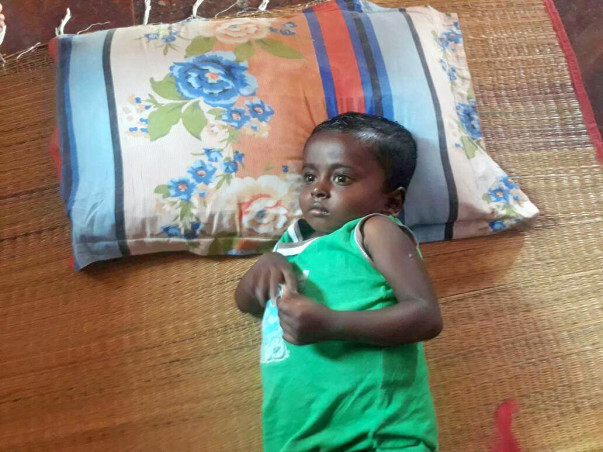 Any financial assistance towards his care would be much appreciated. 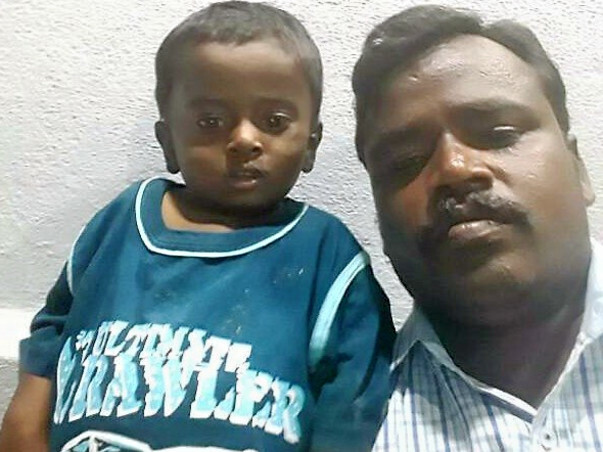 Baby Amarnath has completed all cycles of chemotherapy and is doing well now. He completed the treatment 6 months ago and comes for regular follow up as well. Here is a quick update on Amarnath. 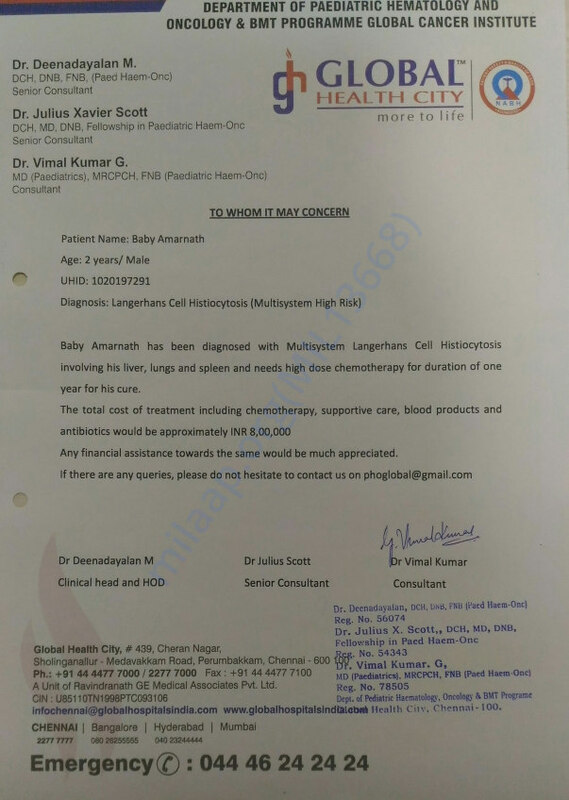 Amarnath is undergoing the chemotherapy sessions following liver transplantation for LCH. He is doing fine, and will need 2 more months of treatment. Sincere thanks to all the contributors for your support. Thank you for all the support. Baby Amarnath is doing better now. 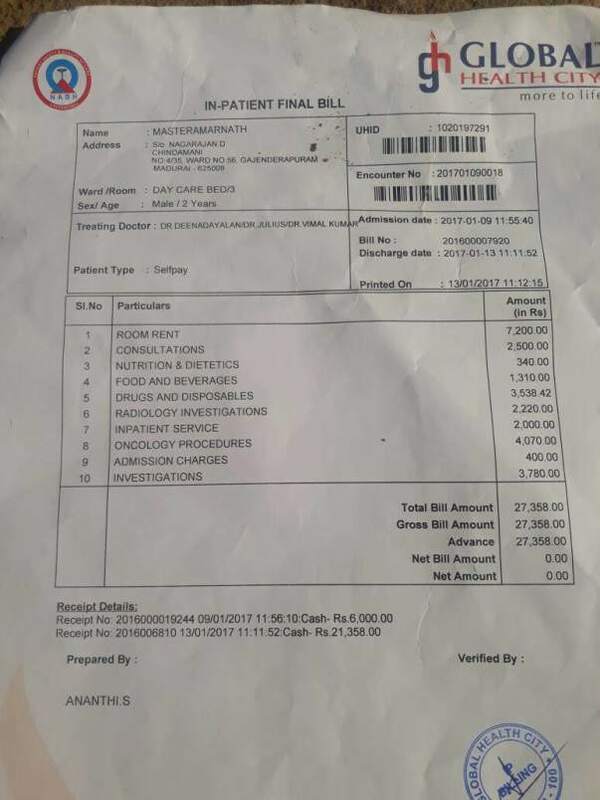 His treatment charged around 63,000 where he underwent oncology and many other procedures. Please continue to share it among your circles and thank you for your generosity. Please send me updates on Amarnath's health. Hope God cures him soon from this disease. Get well soon Baby Amarnath.